DTA co-founded LES History Month with FABnyc in 2014. The celebration has now grown to include over 80 participating community and cultural groups each year during the month of May. In 2018/19, Downtown Art will co-lead Lower East Side History Month, organize LES Stories/Chalking the LES, produce the LES Community Hero Awards, launch THE PEOPLES LES project with FABncy, and commission artists to develop works that reflect the culture, history, and concerns of Lower East Side residents. 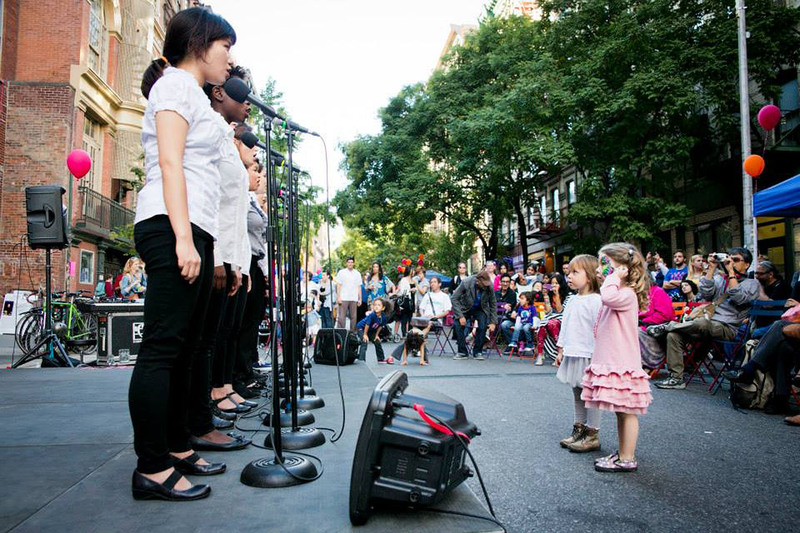 Downtown Art is active in the LES community, and often provides free space to organizers for community events and workshops around issues of local concern.